Brie grilled cheese sandwich topped with a drizzle of honey and salt. 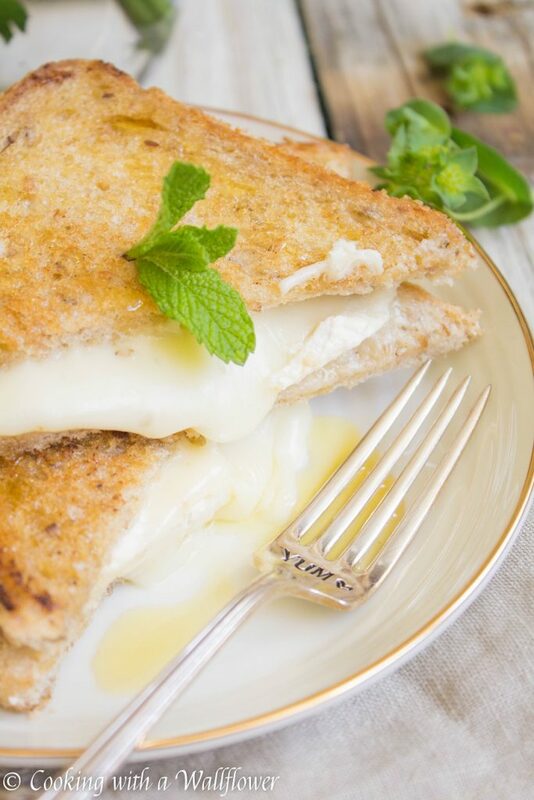 This Salted Honey Brie Grilled Cheese Sandwich is both sweet and savory, taking the classic comfort food to the next level. These last few days have been so exhausting. Have I mentioned how much I hate being sick? Especially when it’s the coughing kind? It’s been a week, and my cough is still going strong. I’m constantly exhausted and just about ready Does anyone know of a good remedy to make this cough go away? Because I desperately need a solution. In the mean time, we’ve got to talk about this salted honey brie grilled cheese sandwich. It’s funny how our taste buds change over time. If you had given me cheese to eat ten years ago, I would have made a face. But all of a sudden, during my college years, I started to develop a love for cheese. And now, I’m obsessed with them. 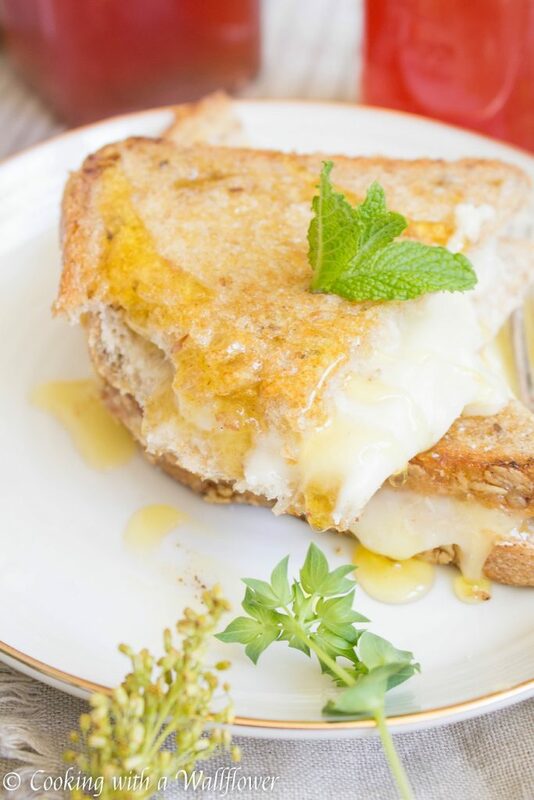 If you’re a fan of brie and honey, this grilled cheese sandwich would be perfect for you. I happen to love the combination of brie and honey. 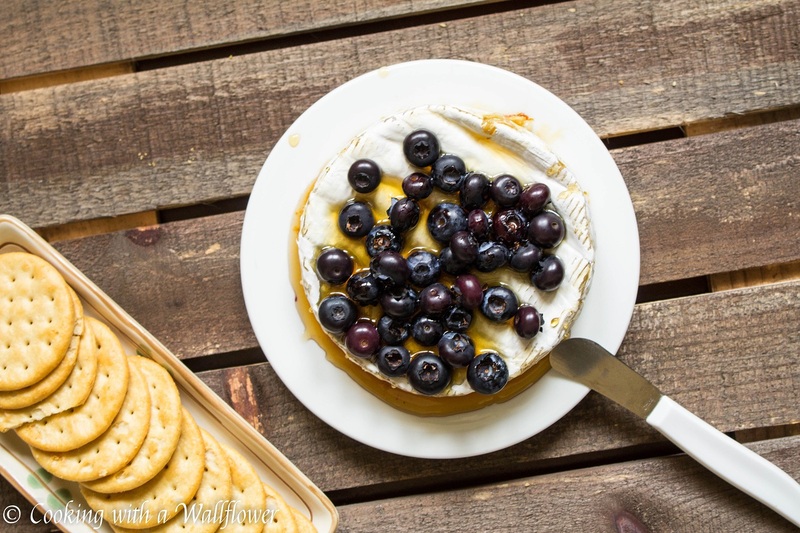 As you can see with this baked honey thyme brie and this baked brie with honey and blueberries. 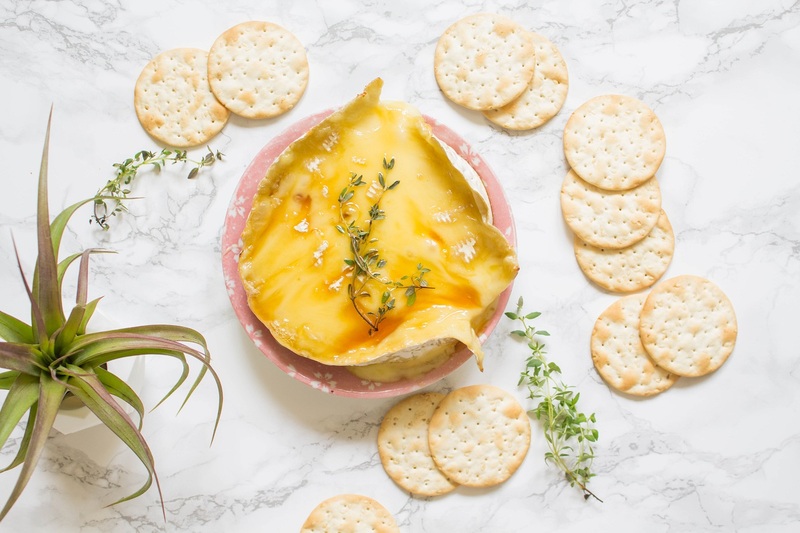 The combination of honey and brie is just too good to resist. This salted honey brie grilled cheese sandwich takes very little time to prep and cook. You’ll have a simple yet delicious meal in almost no time with very little work and effort. Spread brie onto a slice of bread. Press a second slice of bread over the cheese. In a small or medium sized skillet, add a tablespoon of butter and allow it to melt over medium heat. Once the butter has melted, add the sandwich. Cook each side for about 3-4 minutes until they become golden brown and the brie has melted. Slice the sandwich in half. 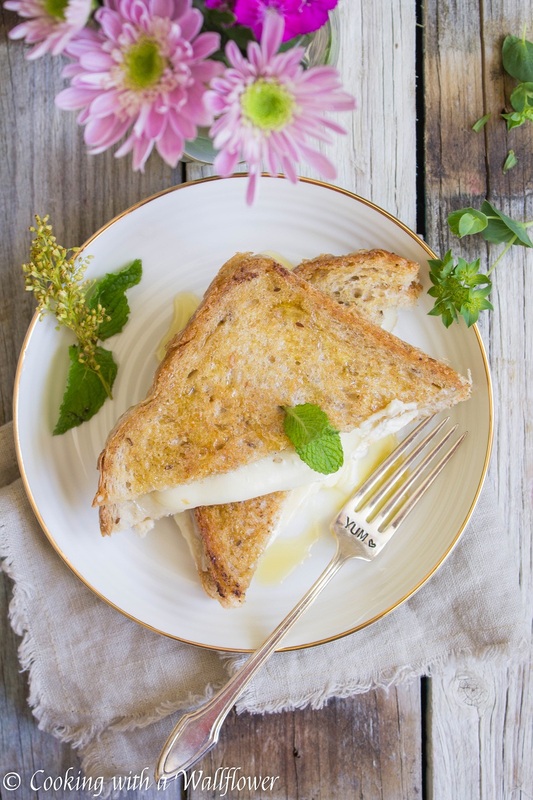 Drizzle honey over the brie grilled sandwich and add a pinch of sea salt. 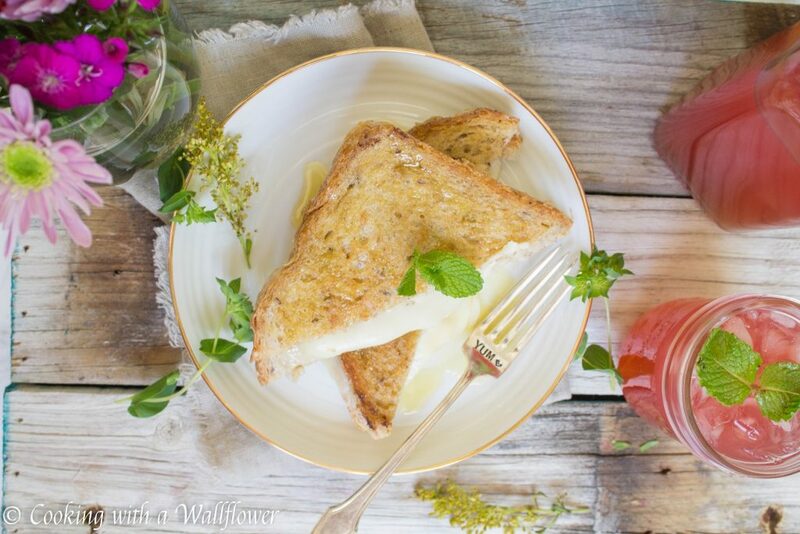 Serve the salted honey brie grilled cheese sandwich. Adapted from Food and Wine May 2017. This entry was posted in Appetizers, Breakfast, Entree, Quick and Easy, Recipes, Vegetarian and tagged quick and easy, vegetarian. What a perfect sandwich! Thanks for sharing at Fiesta Friday party! Oh my gosh, this contains two of my favorite things, bread and brie, and looks amazing! I am a huge fan of grilled cheese sandwiches, this one takes only very few ingredients and sounds delicious, thanks. On another note, may I ask where you got those pieces of wood from? I am looking for rustic pieces of wood which I can use as a background. So far I have had a hard time finding anything good. I actually didn’t get pieces of wood. I couldn’t find anything I liked. so what I did instead was buy reclaimed wood boxes/trays, flipped them over, and used the bottom surface for my background. That’s why with the wood backgrounds, most of my photos are close ups because there’s not a lot of space. But instead of buying directly from their site, sometimes they have listings on Scoutmob, Etsy, or another third party site where the prices are cheaper or there are coupon codes. And I got it through those sites instead. Hope that helps somewhat! Hi Andrea, yes indeed, thanks! Brie is my ultimate favorite cheese. I’m going to make this sandwich right now! I hope you liked it, Edyta! Thanks for the recommendation, Deb! The sandwich looks fantastic – I’ll definitely be trying this recipe. Great photos too….and the fork that that says YUM is adorable! Thank you! I hope you’ll like it as much as I do!